My friend Marcie and her husband David live aboard a sailboat and are traveling the globe. They have one last long passage to make to complete a circumnavigation of the earth, that last leg from Australia to the southern tip of Africa. They have sailed from Africa east past South America via the Panama Canal to Australia, where they are now–and a zillion points in between–over more than a decade. 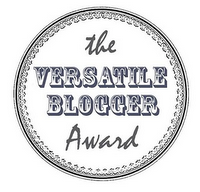 I asked Marcie to write a guest blog, since she is a published author. She and her husband both have sold many magazine articles. Furthermore, Marcie is an accomplished (and published) photographer. She has LOTS to share for those aspiring to do the same. Read up and enjoy!!! I must have at least four books in the works at the moment … all of them in various stages of “incomplete”. There’s a cookbook which needs a rewrite and an update; a novel based on fact; an anthology of sailing stories and another mystery novel which revolves around our life at sea. What keeps me actively writing though is our daily blog, our website and freelance writing for magazines. My husband and I have lived aboard a sailboat for the last 13 years, very slowly traveling around the world. Writing has always been a passion for me, so it was only natural that I’d keep personal journals and continue writing as we sailed from place to place. Now I post our experiences daily and write articles for publication. Want to take a stab at getting published in a magazine? Try this. Determine an area of expertise or interest. Figure out what you’d like to write about. Do you have a hobby? Are you a parent? Do you sail? Do you like to travel? Do you have pets? Are you a farmer, a hairdresser, a welder, a 50+ retiree? Obviously, the more you know or care about your topic, the more it will show in your writing. Research what journals or magazines cater to this interest. There are magazines out there for every interest imaginable. Don’t forget to research regional magazines for your area. They’re smaller and may be more interested in your articles than national journals. Think outside of the box. We tend to write for sailing magazines because we sail and live on a boat, but I’ve submitted articles to cat magazines because we used to have a cat aboard. I submit articles to travel magazines. I’ve even submitted funny anecdotes to Reader’s Digest. Obtain the Writer’s Guidelines for those magazines of interest. This is key. Some magazines are very specific as to the length of the piece, the format in which it should be submitted, whether photos are required, their terms and amounts of their payment. The links below this post provide lists of magazines and their guidelines. These lists are not exhaustive by any means, but they’ll give you an idea of what’s out there. Get a copy of the magazine(s) in which you’re interested. Read it. See what types of articles they publish. Get a feel for the mood of the pieces. Are they serious? Whimsical? First person anecdotes? Determine what “departments” they have that might prove suitable for the article you want to write. Figure out your angle. Magazine articles usually do one or more of these things: inform, persuade, instruct or entertain. I tend to write informational/entertainment pieces on the places we visit. My husband, David, writes how-to pieces (instruction) on various topics relating to the boat. Write your article. Proper grammar, spelling, punctuation required…need I say more? Research your topic carefully. If you’re using facts and/or statistics to give some depth and color to your article, make sure you document them well and provide the source if necessary. Many magazines will accept articles on “spec”. Others prefer you send a query. I call this a teaser. Tell them in a short, succinct paragraph what you intend to write about and why it will be of interest to their readers. They’ll review what you send them and get back to you if they’re interested. Send your best piece. Make the teaser irresistible. Then write the article. Make sure it’s ready to go. If you don’t hear from the publisher within a couple of weeks, send them a reminder, asking their level of interest. Caution: Do NOT send the same query to several magazines at once. Be patient and submit to one publisher at a time. If two or more magazines should happen to accept your article or idea and you have to tell one of them “no”, you probably won’t get another stab at that magazine. If you don’t hear in a month after a reminder, consider it dead and move on. Don’t be discouraged if you get a “reject” notice. It’s common. Not every article received can be published. Find another magazine and send them the same teaser. We’ve had several articles rejected by one journal which were happily accepted by another. If you get a bite and some interest in your teaser, respond immediately. Some will ask you to do a rewrite. Cut it down here…expound a little there. Get on it right away. We’ve had situations where the publisher delayed in responding and then we received an urgent email saying, “Oh, didn’t I tell you? We need your article for the next publication. Can you send it and all photos today?” Needless to say, having the article written and ready to go was key. We scurried, but got it done. I doubt you’ll get rich from writing for magazines. We certainly don’t, although we usually succeed in having about six to eight articles published each year. We average ~$300-500 per article. You will, however, see your article in print, promote yourself, build confidence and polish your writing skills. Sometimes that’s enough! Marcie & David Lynn have lived aboard “Nine of Cups” since 2000. They’ve sailed over 70,000 nautical miles across the Atlantic and Pacific Oceans and visited hundreds of anchorages and ports in their travels. They’re currently down under in Tasmania. Marcie writes a daily blog www.justalittlefurther.com and maintains a website www.nineofcups.com. 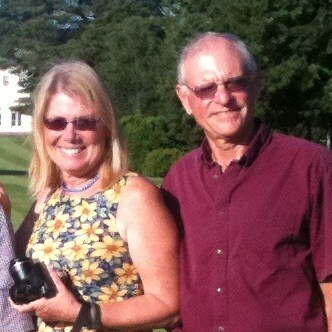 Both David and Marcie contribute regularly to Ocean Navigator and Good Old Boat magazines. 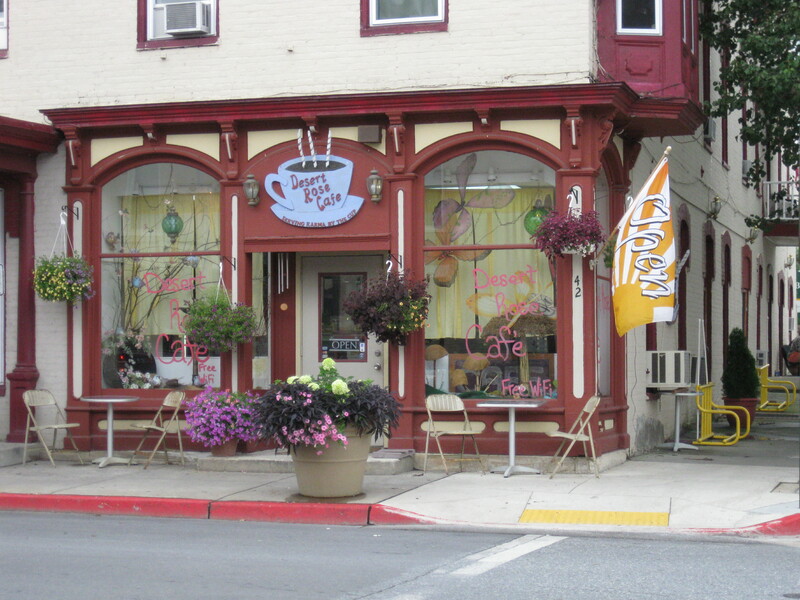 One of our Writers of the Desert Rose Cafe members started the ball rolling on marketing. He used an inside contact to connect me to the head librarian in charge of programming. That conversation led me to volunteer our writers for library programs. 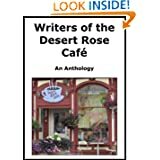 The librarian offered to refer news of the release of Writers of the Desert Rose Cafe, An Anthology to her press contact at the local newspaper. Consequently, a reporter from the Lifestyles section called me to schedule an interview. I invited our publisher Acorn Book Services to attend the interview. This turned out to be a good move for many reasons that I’ll share in a minute. My thought when inviting the publisher was as a thank you for helping us and sharing a bit of the limelight. During the course of an hour-long interview, I learned that the reporter attended the same seminar at the library where I first collected names to form Writers of the Desert Rose Cafe. That coincidence warmed him to us because he had first hand knowledge of our origins. That piqued his curiosity about how we moved from a start-up organization to a published entity in a relatively short period. Further, the reporter was on a first-name basis with our publisher. The publisher offered to place an advertisement on the same page as the article in the newspaper. That financial incentive is apt to generate a better place on the page and a longer article than our group would get on its own. The reporter also proposed sending a photographer to the next meeting to snap a some candid photographs of the working group to go with his article. Photos are eye-catching and will draw attention to the article. Finally, our most organized member and I took the publisher to lunch after the interview to discuss costs for producing print versions of the book. That led to conversation about select members appearing at a writing seminar as members of a panel during a teaching segment. Mr. Organization will not let that opportunity fall through the cracks. He’ll stay on top of it to be sure the writers group seizes every chance to promote our endeavors. Do you see how that works? Chances are if I cold-called either the library or the reporter directly, the response would have been less successful. But by networking through personal connections and utilizing the special talents within the group, Writers of the Desert Rose Cafe will get free publicity both through the news story and through the local speaking circuit. Commercial success for writers is like success for politicians. It all starts locally. I am keeping my fingers crossed that the exposure translates to sales! Instead of doing nothing–or retaliating in kind–she chooses to use words and reason and the public forum to champion her cause. As any writer would do, she looks at the bigger picture framing the conflict. She thinks how the situation impacts others globally and why the problem she confronts is larger than just her own personal problem. Then she acts. As a writer. She puts her thoughts into words for the purpose of creating change–in one human heart or in the world. She wishes for the larger change, but will be content with the smaller one. The goal is change. Watch this young woman’s videographic solution to her own problem, and see if you don’t agree with me. A friend of mine writes murder mysteries. She has found a positive way to channel negative energy connected to a particular person: she turns the person she is angry with into a character in a book. Then she kills them. End of story. End of her frustration. I found that tactic hilarious. I didn’t think it would work for me. Then, I had a fight. After I had strong words with a person, I felt badly. My head ached, and I was sick to my stomach. I realized I needed to change my response to this negative stimulation. I pulled out my laptop and began working on a story as a way to get my mind off things. The adrenaline increase from the argument was rerouted to my creative brain. Before I knew it, that re-channeled energy helped me produce 1,000 new written words. I liked the outcome of that choice. My body appreciated my turning away from the gut-churning negative emotions to the zen-inducing creative thoughts. I am certain my blood pressure dropped several points while writing. So there you have it. Redirect your anger or angst. Get writing. Lower your blood pressure. And, if need be, kill the bugger!